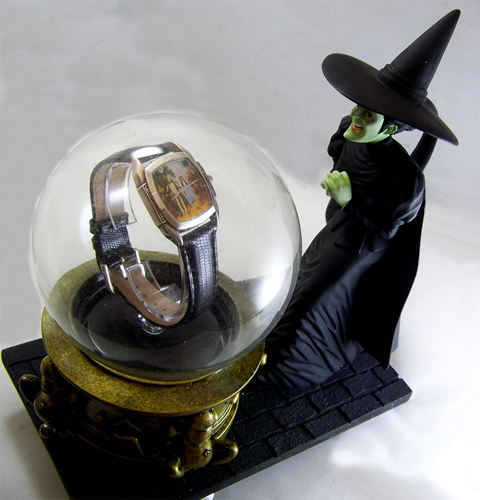 Click the button below to add the Wizard of Oz Watch Witch with Glass Globe Warner Bros. Limited Edition to your wish list. 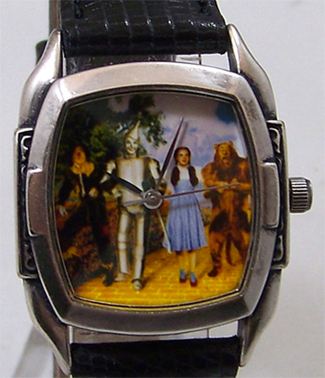 Wizard of Oz Watch, Warner Bros. Collectors Lmt. Ed., NEW. 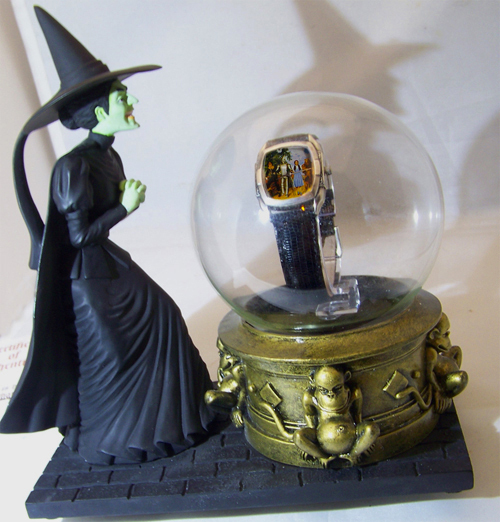 The Warners Brothers Wicked Witch With Glass Globe Wristwatch. Dorothy, Scarecrow, Tin Man, Lion on watch with Witch Figure. 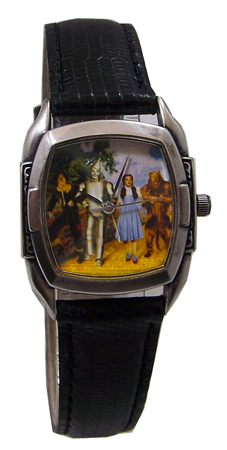 Warner Bros. Numbered limited edition collectible Wizard of Oz wristwatch. Wicked green witch of the West with glass globe ball. 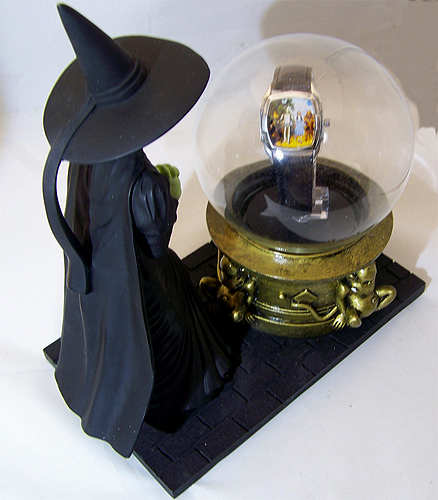 The Witch views the watch mounted inside the Globe: The watch face depicts a scene from Wizard of Oz where the witch views Dorothy, Scarecrow, Tin Man and Lion on their travel to Oz. Three hand Japanese movement and quartz display. Case diameter 36mm, Band width 18mm. 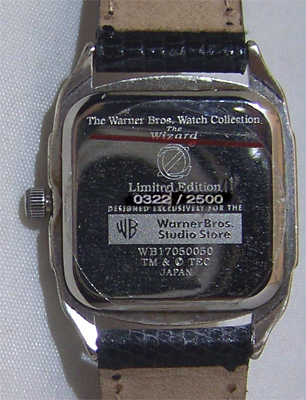 Sold out collectors watch in new, unworn working condition. Sized and sold for men, and collectible by both genders. Includes all packaging and certificate of authenticity. 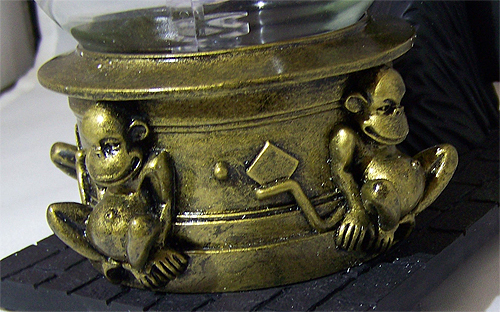 Designed exclusively for Warner Bros. Studio Store.